The Deep Living Day gives you the opportunity to come together with James, Sarah and a group of people to explore what is really going on inside of you, and between you and others. Enjoy the excitement of connecting more deeply. This group is a great way to get to know more about the Deep Living Practice. James will lead this group in English with German translation. Cost: 120€. Spaces are limited. Reserve a space now with Sarah! 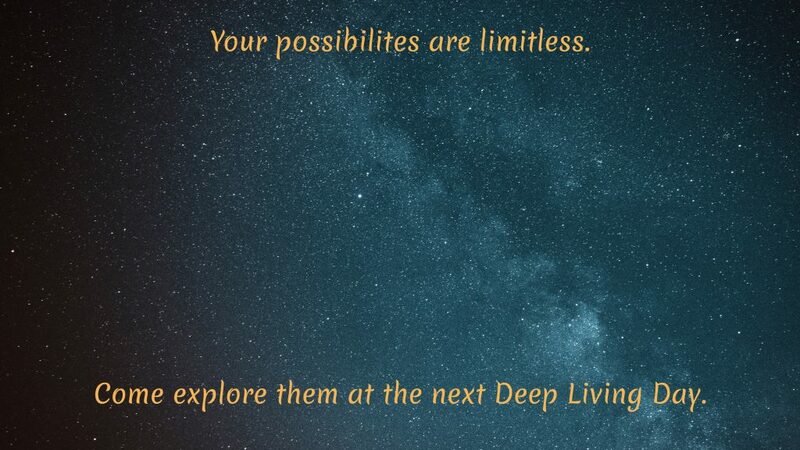 Come explore your possibilities at the next Deep Living Open Evening. Spaces are limited. Make a reservation with Sarah. 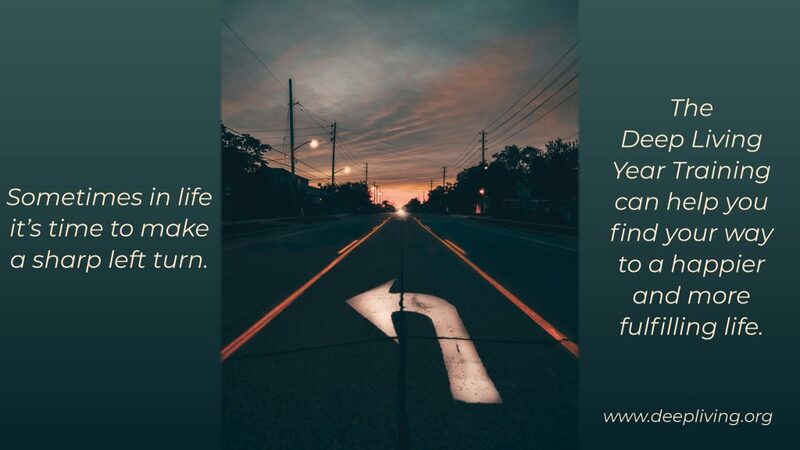 In my early forties, when it became clear to me that I was not enjoying my life at all, and I began my process of self-examination and transformation, I realized that I had no idea of how I should be in the world. What I was doing was not getting me the things I really wanted in life, like happiness, fulfillment, and deep connections with the people in my life. I wanted to know what I needed to do to have the life that I wanted. I wished there was some kind of guidebook showing how to be a happy person that was really enjoying his life. In my process of self-realization I found what I was looking for; a way of being where I am happy and feel very good about how I am. I’m open and available for intimacy, I know what I want to do, I feel capable of attaining my goals, and I enjoy the opportunities and challenges that life presents me. Deep Living is my attempt to share this information. The Deep Living Book is the guidebook I was looking for when I started my search, and the groups and sessions I give are me teaching people a way of being in the world that will let them leave the effects of their pasts behind and know the choices they need to make to be happy and get the most out of their lives. In the Deep Living Year Training I’ve created a powerful opportunity to address the issues that are keeping you from living the life you were meant to live, while learning a way of looking at life that will guide you to making the choices that will help you get the most out of your life. Through working intimately with a small group of people, and almost daily guidance, you can learn how to be in the world in a way that will bring you happiness and fulfillment beyond your imagination. Our next Deep Living Year Training starts January 19, 2019. These two Ted Talks by Brené Brown were recently brought to my attention. What she is saying is very much in line with how we see things in our Deep Living work.